The Point Reyes Peninsula has a rich history encompassing thriving Native American settlements, visits by Francis Drake and Spanish explorers, dramatic shipwrecks, Mexican rancheros, famous dairy farms, railroads, and one of the country's most spectacular lighthouses. 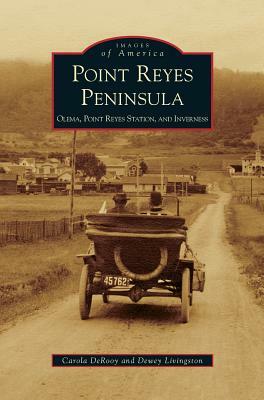 These historical facets spawned the three small towns of Olema, Point Reyes Station, and Inverness; each is unique with its own distinctive foundations. Most of the land is now within Point Reyes National Seashore, a refuge created during the Kennedy administration and now one of the more popular destinations on the California coast. The unique geography of the forest, bay, and ocean environments and the abundant wildlife in Point Reyes offers fine scenery, diverse recreational opportunities, and good food and lodging, while the towns retain their old-time character.